MMS Skin Cream helps the skin enhance its immune function. 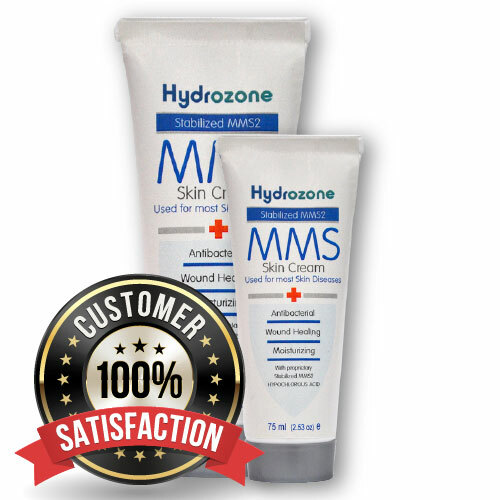 (MMS2) Hypochlorous acid has one of the best known wound healing properties. 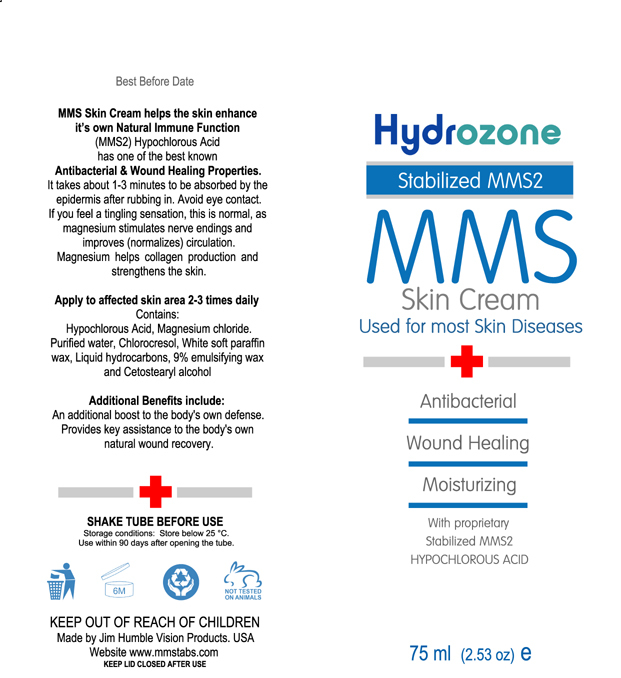 It takes about 1-3 minutes to be absorbed by the epidermis after rubbing in. Avoid eye area, as it can sting. If you feel a tingling sensation, this is normal, as magnesium stimulates nerve endings and improves (normalizes) circulation. 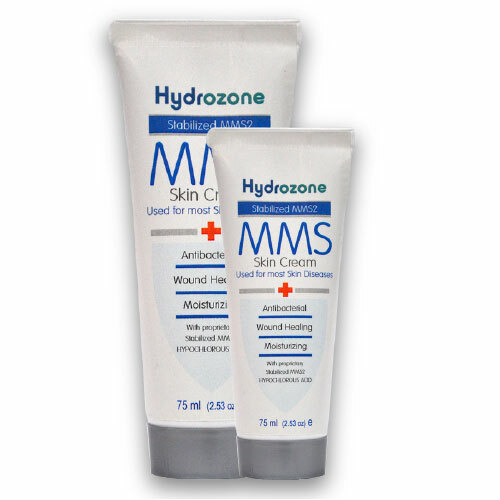 Magnesium helps collagen production and strengthens the skin.